The Twin in Berlin: I Love Spending My Time, ALL Of My Time, Helping Others Come Closer To Christ. I Love Spending My Time, ALL Of My Time, Helping Others Come Closer To Christ. HIIIIII a little short today but it's about quality not quantity, am I right, or am I right? Elder Clarke is STAYING AND TRAINING. His little golden is so lucky to have him. ELDER WILLIAMS IS LEAVING NOOOOOOO. Elder Willimas and I were in Braunschweig together my second and his first transfer, and were reunited these past two transfers. It’s waaay sad he is leaving, but alas, that belongs to missionary life! He is going to Bielefeld to be with Elder Whitaker, Elder Whitaker and I served in Lübeck together three transfers. Gooooood times. SO the guy we found last weekend, Holger, met with us two times this week! yaaay victory. He believes on Chakran, and used that (not the bible) to come to Jesus. He lives in the city, has a family, is satisfied spiritually, but not bodily. So far we have talked about Jesus and prophets, and this week we hope to talk about the restoration. He is reallllly cooool and nice. Brought cake last time to eat with us. He has this reaaally deeep reallll säääääächsisch voice. i love it!! challenging? Uhhhhhhhh probs waking up and feeling like I got in a fight the night before. I so tired momma!!! BUT life goes on. MEGAN GOT TRANSFERRED finallllllly I am so excited and anxious to read her email!!! What a life, what a life. I love spending my time, ALL of my time, helping others come closer to Christ. 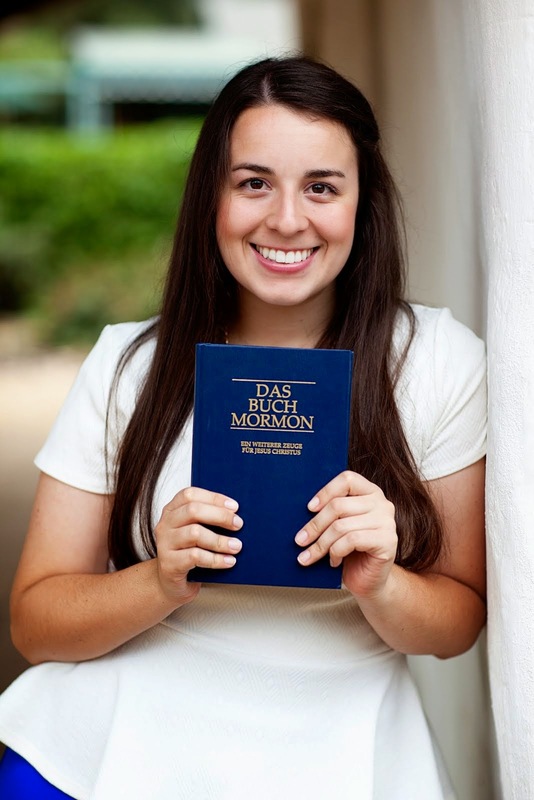 Sometimes when we are in the city walking around and trying to talk to people, I just look around me and take a moment to realize that I am in Leipzig Germany, as a representative of my Savior. I know that this is His work! I know that everybody is important! It is hard, yes, so so hard. It is difficult to put into words what that means-hard. Something I will experience for the rest of my life I am sure. But it is sooo worth it. I cannot comprehend the thought of eternity, but I know that it will all be worth it! Moroni 7: 41 And what is it that ye shall hope for? Behold I say unto you that ye shall have hope through the atonement of Christ and the power of his resurrection, to be raised unto life eternal, and this because of your faith in him according to the promise. Sister's Reed & Mittleman with bunny!